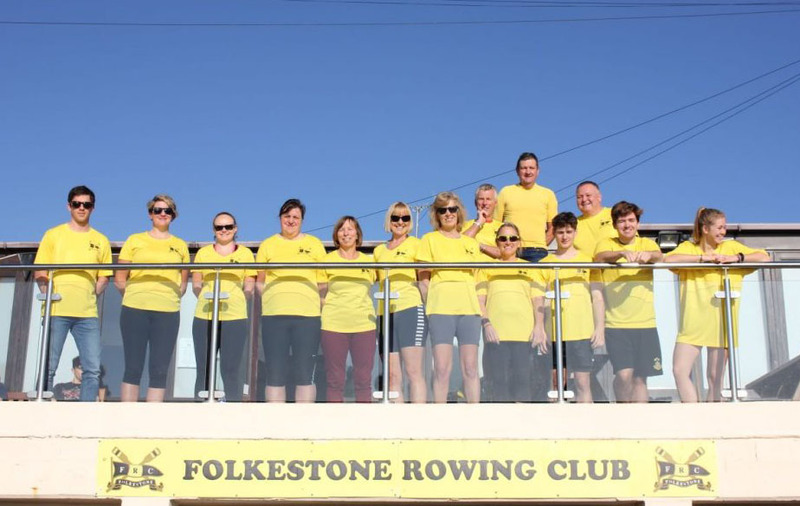 Established in 1852 Folkestone Rowing Club welcomes new members to train as Oarsmen, Oarswomen and Coxswains, as well as purely Social members – all age groups & abilities welcome. If you are interested in becoming a member, or if you just want to see if rowing is for you, please come along to the clubhouse – our main training evening is on Wednesdays from 6pm and Sunday mornings from 10am. The rowing club is always looking for new members; whether you are an experienced rower, just starting out or just like to find a new place to socialise. Rowing is a great way to keep in shape and even relax. It is worth a visit to the club to meet the people and have a look at the facilities. The best times are on a Sunday at 10:00 or week nights at 18:00. If you would like to have a go bring items of clothing and footwear with you, that you dont mind getting wet! There’s absolutely no cost to visit the club or try rowing. The club competes in the Coast Amateur Rowing association league which takes place mainly across Kent and Sussex. However there is absolutely no pressure for any members to compete. The club also host a wide variety of social events. If you would like more information on our social events, please take a look at our facebook page. Come and support us. BBQ, cakes and refreshments are always available at every CARA regatta.